> How Does Outdoor Lighting Cause Light Pollution? As many homeowners, you are taking steps to reduce your carbon footprint at home. You dutifully recycle glass, metal, paper, and plastic waste each week. You replace all the incandescent light bulbs in your home with energy-efficient compact fluorescent lamps (CFL) or LED light bulbs. However, you may be unwittingly contributing to carbon emissions and interfering with delicate ecosystems through light pollution. The definition of light pollution, also known as photopollution or luminous pollution, is the excessive, misdirected or invasive use of artificial outdoor lighting. Mismanaged lighting alters the color and contrast of the nighttime sky, eclipses natural starlight, and disrupts circadian rhythms (the 24-hour processes of most organisms), which affects the environment, energy resources, wildlife, humans and astronomy research. The threat of light pollution continues to grow as the demand for artificial light increases each year. Photopollution is not a new phenomenon. Over the last 50 years, as countries became affluent and urbanized, demand for outdoor lighting increased and light pollution sprawled beyond the city limits and into suburban and rural areas. This form pollution is now prevalent in Asia, Europe, and North America, particularly in cities like Los Angeles, New York and Washington D.C. In 2008, National Geographic magazine named Chicago the most light-polluted city in the United States. However, the most light-polluted spot in the world is Hong Kong, China. In March 2013, the University of Hong Kong named the city the most light polluted in the world. A study by the university found the night sky in Tsim Sha Tsui, an urban neighborhood in southern Kowloon, Hong Kong, to be 1,200 times brighter than a normal urban city sky. Luminous pollution of this magnitude is on the rise worldwide. In a 2010 article from the Ecology and Society Journal, Hölker and others stated the use of artificial lighting increases by 20% each year, depending on the region, and noted there is an urgent need for light pollution policies that surpass energy efficiency to include humans, animals and the environment. Luminous pollution, unlike other forms of contamination and waste, can be contained and/or reduced by improving outdoor lighting practices. Remember that outdoor lighting serves a purpose - to provide visibility and safety at night, but lighting that exceeds its purpose can quickly become offensive to others. Here are some simple tips to help you reduce light pollution without sacrificing your comfort or safety. Use compact fluorescent lamps (CFL) and LED bulbs that produce warm white lighting. Many LED lights emit a blue short wavelength light that scatters easily into the atmosphere, which causes eyestrain, impairs night vision and adds to light pollution. Choose outdoor light fixtures that are shielded, meaning there is a solid cap above the light bulb that prevents light from being emitted directly to the sky, to minimize sky pollution. You can shield exiting fixtures by buying and installing reasonably priced shades. Full Cutoff - No light is distributed at or above an angle of 90 degrees from the nadir. Candela per 1000 lamp Lumens does not numerically exceed 100 (10 percent) at a vertical angle of 80 degrees from the nadir. This applies to all lateral angles around the light source. Cutoff - Cutoff light fixtures allow a small amount of uplighting. Candela per 1000 lamp Lumens does not numerically exceed 25 (2.5 percent) at a vertical angle of 90 degrees from the nadir. Candela per 1000 lamp Lumens does not numerically exceed 100 (10 percent) at an angle of 80 degrees from the nadir. This applies to all lateral angles around the light source. Semi-Cutoff - Semicutoff light fixtures emit more light directly into the sky and provide little control at the property line. Candela per 1000 lamp Lumens does not numerically exceed 50(5 percent) at an angle of 90 degrees from the nadir. Candela per 1000 lamp Lumens does not numerically exceed 200 (20 percent) at an angle of 80 degrees above nadir. This applies to all lateral angles around the light source. Non-Cutoff - Noncutoff light fixtures distribute light without Candela limitation in the zone above the max Candela. Install motion sensors on outdoor fixtures so they turn on when needed and turn off after a short time. Make sure to test and adjust the motion detector's sensitivity as needed to prevent the lights from turning on and off unnecessarily. Use IDA certified Dark Sky Lighting, which is designed to minimize glare, light spill, and sky glow. 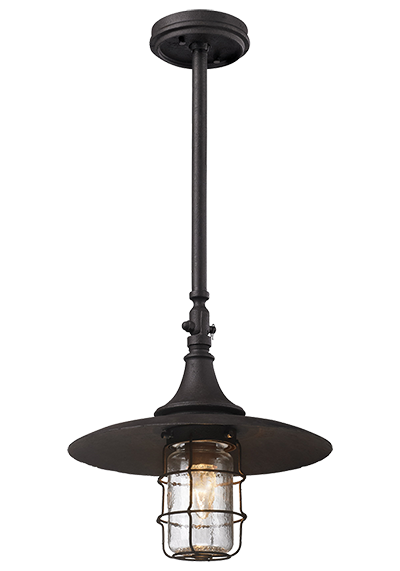 Dark-sky approved light fixtures are available in a variety of chandeliers, flush mounts, pendants, and wall sconces. If you live near the beach, use certified Turtle Safe Lighting. These shielded light fixtures produce a long wavelength light, which does not scatter easily, and should be mounted low to avoid high-angle brightness. Turn off any unnecessary outdoor lights when you are home for the night or before going to bed to prevent wasteful dusk to dawn lighting. If you're in doubt, turn them off by 11 PM. While you're at it, make sure to turn off indoor light fixtures, like wall lights, when you're not home or before bed to reduce energy consumption. Take steps to prevent and reduce light pollution in your home, work, and community. Close the blinds and curtains to prevent light spill. Ask management to turn off or dim office lights after all workers have left the property for the day to prevent light and energy waste. Petition local business owners to dim after-hour signs to prevent glare and light clutter. Propose lighting ordinances to your local and state governments to reduce light pollution. Luminous pollution is caused by using outdoor lights when and where they are not necessary. Poorly designed residential, commercial, and industrial outdoor lights also contribute significantly to light pollution. Unshielded light fixtures emit more than 50% of their light skyward or sideways. In many instances, only 40% of the light emitted actually illuminates the ground. Luminous pollution has dire effects on our environment and resources of energy as well as wildlife ecology and astronomical research. Light pollution also affects the quality of life and safety of humans. Here are some of known side effects of light pollution. The International Dark-Sky Association (IDA), a non-profit organization that raises awareness of light pollution, estimates that excessive nighttime lighting releases more than 12 million tons of carbon dioxide, the most serious greenhouse gas, into the atmosphere each year. It would take nearly 702 million trees to absorb the carbon dioxide produced by wasted light. Light pollution may also contribute to other forms of pollution. According to a 2010 study by the National Oceanic and Atmospheric Association, photopollution increases air pollution by suppressing a naturally occurring radical that cleans the air at night. Nitrate radical, a form of nitrogen oxide, breaks down vehicle and factory emissions at night. The nightly process prevents the emissions from becoming smog, ozone pollution, or other harmful irritants. The process only takes place at night because sunlight destroys nitrate radical. However, artificial lights from buildings, cars, and streetlights, although 10,000 times dimmer than sunlight, also affect nitrate radical and slow down the cleansing process by 7%. Artificial light also increase the chemicals for ozone pollution by 5%. The total amount of wasted electrical energy each year is enough to illuminate over 11 million homes and power over 777,000 cars. Luminous pollution affects the feeding, sleeping, mating, and migration cycles of all wildlife. Wildlife can also experience disorientation of time when there is too much artificial light at night. Mammals - Mammals such as bats, raccoons, coyotes, deer, and moose can experience difficulty foraging for food at night due to over illumination. They risk exposure to natural predators and increased mortality due to night vision impairment. They also experience a decline in reproduction that leads to a shrinking population. Birds - Birds such as owls and nighthawks use moonlight and starlight to hunt and migrate at night. Artificial lights sources can overwhelm natural light sources, causing birds to be drawn to or fixated on the artificial lights. This results in birds deviating from their intended migration route, flying until they experience exhaustion and collapse, and becoming prey to other animals. Marine birds such as albatrosses are known to collide with lighthouses, wind turbines, and drilling platforms at sea due to their bright lights. In North America alone, 100 million birds die annually in collisions with illuminated buildings and towers. Amphibians - Sky glow affects amphibians such as frogs, toads, and salamanders in marshes and wetlands. The orange haze confuses and disorients them, which causes a decrease in feeding and mating. It also impairs natural instincts that protect amphibians against natural predators and the elements. Reptiles - Reptiles such as sea turtles are greatly affected by light pollution. Female turtles nest on dark, remote beaches, but bright coastal lights prevent them from finding safe nesting areas for their eggs. This leads the female turtles depositing their eggs in an unsafe area or the ocean. Sea turtle hatchlings instinctively crawl toward the brightest part on the beach, which for many centuries was the moonlight and starlit ocean; however, excessive lighting on the beach or near the shore confuses the hatchlings and causes them wander away from the ocean. The hatchlings may be eaten by predators, run over by vehicles, drown in swimming pools, or die from dehydration or exhaustion. Artificial lights may also disorient other nocturnal reptiles. Insects - Insects such as moths are naturally attracted to light and may use all their energy to stay near a source of light. This interferes with mating and migration as well as makes them vulnerable to natural predators, which reduces their population. This also affects all species that rely on insects for food or pollination. Light pollution alters our view of the sky and stars, but no group of people is more affected by this phenomenon than astronomers. Light spill and sky glow interferes with astronomical equipment, and makes viewing faint celestial bodies difficult even with the aid of a telescope. Astronomy is one of the oldest sciences in human history, and has made countless contributions to technology, economy and society with applications like personal computers, communication satellites, mobile phones, Global Positioning Systems (GPS), solar panels, and Magnetic Resonance (MRI) scanners. Today, astronomy helps us determine the Sun's effect on Earth's climate, and identify any potential threats to Earth from space. In order to conduct observation and research, astronomers require dark skies. Humans, like plants and wildlife, are regulated by circadian rhythms, the physical, mental and behavioral changes that occur in a 24-hour cycle. The circadian clock regulates physiologic activities such as brain wave patterns, hormone production, and cell regulation. The rhythms respond to the light and darkness around an organism. Disrupting these rhythms can result in a variety of health problems, including sleep disorders, anxiety, depression, diabetes, cancer (particularly breast and prostate cancer), cardiovascular disease, immunological disorders, and obesity. Melatonin, the naturally occurring hormone that regulates the sleep and wake cycle, is acutely affected by light pollution. The hormone is activated by darkness and repressed by light. Melatonin deficiency can result in anxiety and mood disorders, insomnia, and elevated estrogen/progesterone ratio. In 2009, the American Medical Association (AMA) unanimously supported the reduction of light pollution, and advocated the development of energy-efficient outdoor lighting to reduce glare and energy waste. Photopollution occurs in a variety of forms, including light trespass, glare, sky glow, and light clutter. One source of light can result in multiple forms of pollution. Here is how you can identify each form of light pollution. Light trespass, also known as spill light, occurs when a light fixture casts illumination beyond the property lines, unintentionally illuminating other homes, businesses, or areas. Spill light is the most subjective form light pollution because there are no guidelines to determine when, where, or how much light is unwanted. A common example of spill light is light from a streetlight coming through a window and illuminating a bedroom, light from outdoor wall lights that direct light up towards the sky rather than towards the ground, or light from a neighbor's floodlight or security light shining over the fence and illuminating your property. Glare is the visual sensation one experiences when stray light, light in the visual field, is greater than the light to which the eyes are adapted. Glare, depending on the intensity, can result in reduced contrast, color perception, and visual performance. Discomfort Glare – Discomfort glare is also known as psychological glare, and is the most common type of glare. Psychological glare occurs when lighting causes annoyance or irritation, but does not decrease visual performance and physical discomfort is short term. Reduce discomfort glare by installing a light dimmer to dim lights, such as recessed lights, in your home. Disability Glare – Disability glare, also known as veiling glare, occurs when stray light scatters in the eye, producing a veil over the retina, affecting visual performance. Veiling glare reduces contrast as well as color and spatial perception, which can lead to unsafe driving conditions. Older drivers are more prone to experience disability glare while driving. Blinding Glare – Blinding glare, also known as absolute glare or dazzle, occurs when a light source impairs the field of vision, preventing the eye from seeing anything but the light source. Visual performance may remain affected for some time well after the incident. Sky glow originates from natural and man-made sources; however, poorly designed and targeted artificial lights are the main cause of sky glow. Sky glow occurs when light is emitted directly into the atmosphere, accidently or purposefully, where it is scattered by dust and gas molecules, creating a dome-like orange glow that covers the night sky. The glow reduces the contrast between the stars and the galaxies in the sky, making celestial objects difficult to see even with a telescope. Light domes also affect the polarization of moonlight, which nocturnal animals use to navigate. Glow domes are visible in cities and towns throughout the world, and they appear in a variety of sizes such as large domes over metropolitan hubs or small domes above over-illuminated commercial areas and sport complexes or stadiums. Cloud coverage, snow, trees, and the quantity of dust and gas molecules in the atmosphere can amplify sky glow. According to the National Park Service, artificial sky glow from major cities is visible up to 200 miles away in many national parks. For example, the bright lights of Las Vegas are visible in Nevada’s Great Basin National Park, located 295 miles west of the city, and in California’s Death Valley National Park, located 118 miles west of the city. The lights are even visible in the Bryce Canyon National Park in Utah, known as one of the darkest spots in North America, located over 260 miles northeast of the city. Light clutter is the excessive grouping of bright lights that cause confusion and distract from oncoming or surrounding objects. Light clutter is visible on roads surrounded by unshielded street lights and brightly lit advertisements or signs. This creates a hazardous environment for drivers and pilots because it competes with traffic and navigation signals. Clutter contributes to other forms of light pollution, including light trespass, glare, and sky glow. Fixture Seal of Approval (FSA) - A program that review and certifies outdoor lighting fixtures based on strict criteria to determine sky friendliness. Dark-sky compliant lights are fully shielded and do not emit illumination above a horizontal plane. 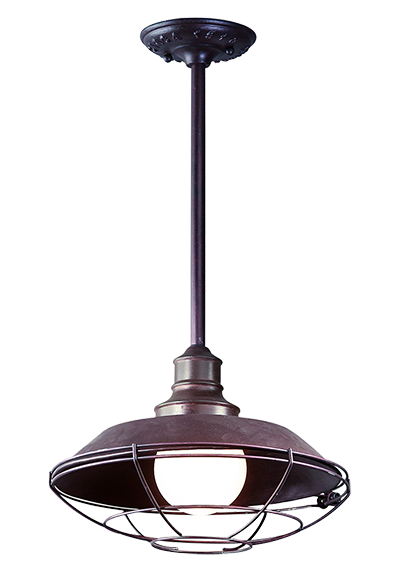 These lighting fixtures provide color temperatures 4100K CCT or below. Manufacturers like Minka Lavery offer beautiful dark sky approved outdoor light fixtures. Dark-Sky Places - Parks, reserves, and communities that have exceptional or distinguished quality skies, and are protected for scientific, natural, educational, cultural heritage, and/or public enjoyment. IDA certified dark-sky places adhere to strict lighting codes and regulations, and promote anti-photopollution education. Dark-sky parks and reserves have been established in Hungary, Namibia, New Zealand, Scotland, Slovakia, United Kingdom, and the United States. Flagstaff, AZ, Borrego Springs, CA, Homer Glenn, IL, and the Island of Sark, Channel Islands, UK, have been certified as dark-sky communities. Campaign for Dark Skies (CfDS) - Founded by the British Astronomical Association in 1989, the Campaign for Dark Skies is the United Kingdom's largest campaign against light pollution. The group is affiliated with the IDA and works with the House of Commons Science and Technology Committee to adopt legislation that reduces photopollution. Globe at Night - Founded by the National Optical Astronomy Observatory, the Globe at Night is an international research project that asks members to choose the star-chart number, 1 through 7, which best represents what they can see toward the constellation on the month. More specifically, which chart shows the faintest star the individual can see. Based on which stars can shine through the surrounding light pollution scientists can compile the information to produce free, public maps detailing global light pollution based on a scale. #1 represents the areas with the most light pollution, like New York City. Chart #7 shows up in areas like national parks where light pollution tends to be very low. The Globe at Night is also a great resource for teachers and parents to gather information to teach children about light pollution. Royal Astronomical Society of Canada (RASC) - Established in 1898 in Toronto, Ontario, Canada, the Royal Astronomical Society of Canada boasts 4,000 members and 29 astronomy centers that provide astronomy education and outreach. In 1991, RASC founded Light-Pollution Abatement Program (LPA) to establish responsible lighting practices that reduce light pollution. National Dark-Sky Week - A week long annual celebration held during the new moon in April to raise awareness about light pollution. Founded in 2003 by Jennifer Barlow of Midlothian, Virginia, a high school student at the time, the event encourages participants to turn off their lights and observe the night sky without light pollution. Earth Hour - First organized by the Worldwide Wide Fund for Nature (WWF) in 2007, Earth Hour is an annual event that encourages people to turn off lights for one hour to raise awareness about climate change. The occasion is observed in nearly 7,000 cities worldwide. Measuring light pollution is an intricate process because the natural atmosphere is not completely dark due to airglow and scattered light. To obtain an accurate measurement, scientists use satellite images of Earth at night to determine the number and intensity of the light sources, and calculate the total sky brightness. Amateur and professional astronomers can also use a Sky Quality Meter, a handheld device that measures sky brightness, to document and compare different areas. Mobile apps like Dark Sky Meter and Loss of Night allow anyone to measure sky brightness. Another way to gauge light pollution is the Bortle Scale, a nine-level rating system that measures sky quality by providing observable standards. John E. Bortle, a retired fire chief and amateur astronomer, devised the rating system in 2001 as a means to help amateur astronomers evaluate the darkness of an observation site and compare sites. The scale ranges from one, an excellent dark-sky site, to nine, an inner-city sky, and specifies observable criteria for each class. Amos, Jonathan. "City lighting 'boosts pollution'." BBC News, December 14, 2010. Accessed November 19, 2013. http://www.bbc.co.uk/news/science-environment-11990737. Hölker, Franz, Timothy Moss, Steffen Franke, Dirk Uhrlandt, Jürgen Fischer, Reinhard Klenke, Christian Wolter, Klement Tockner, Barbara Griefahn, Werner Kloas, Christian C. Voigt, Dietrich Henckel, Andreas Hänel, Peter M. Kappeler, Stephan Völker, and Axel Schwope . "The Dark Side of Light: A Transdisciplinary Research Agenda for Light Pollution Policy ." Ecology and Society 15, no. 4 (2010). http://www.ecologyandsociety.org/vol15/iss4/art13/ (accessed November 19, 2013). Bortle, John E. "The Bortle Dark-Sky Scale." ,Sky and Telescope, February 2001. Accessed November 19, 2013. http://www.skyandtelescope.com/resources/darksky/3304011.html. Earth Hour. "About | Earth Hour." Accessed November 19, 2013. http://www.earthhour.org/page/about. GLOBE at Night. "About GLOBE at Night." Accessed November 19, 2013. http://www.globeatnight.org/. International Dark-Sky Association. Light Pollution and Wildlife. Tucson, AZ: International Dark-Sky Association, 2008.
International Dark-Sky Association. Light Pollution and Energy. Tucson, AZ: International Dark-Sky Association, 2008.
International Dark-Sky Association. Light Pollution and Human Health. Tucson, AZ: International Dark-Sky Association, 2008.
International Dark-Sky Association. "International Dark Sky Places." Accessed November 19, 2013. http://www.darksky.org/night-sky-conservation/34-ida/about-ida/142-idsplaces. International Dark-Sky Association. "About IDA’s Fixture Seal of Approval." Accessed November 19, 2013. http://www.darksky.org/outdoorlighting/72-fsa. Lighting Research Center. "Light Pollution." Accessed November 19, 2013. http://www.lrc.rpi.edu/programs/nlpip/lightinganswers/lightpollution/abstract.asp. National Park Service. "Lightscape / Nigh Sky." Accessed November 19, 2013. http://www.nps.gov/grba/naturescience/lightscape.htm. Paulin, Douglas. "Full Cutoff Lighting: The Benefits." LD+A 10, no. 4 (2001): 54-56. doi: http://www.iesna.org/PDF/FullCutoffLighting.pdf. Royal Astronomical Society of Canada. "Light-Pollution Abatement." Accessed November 19, 2013. http://www.rasc.ca/lpa. The Campaign for Dark Skies. "About the Campaign for Dark Skies." Accessed November 19, 2013. http://www.britastro.org/dark-skies/about.htm?1O.